The Festival will take place from 4th to 7th October 2018. The Bailieborough Poetry Prize 2018 is now open for entries. The Poetry Prize 2018 will be an open competition with a first prize of €300 for the winning poet. The judge this year is Noel Monahan and the closing date for the submission of entries is Monday, September 10th, 2018. Full competition rules are available on the Bailieborough Poetry website. The Annual Blessing of the Graves will take place in St. Anne’s Cemetery on Sunday next, September 2nd at 12 noon. Each family is asked to bring along a small container of water, which will be blessed during the service. This water will be sprinkled by a family member on the grave, before the recitation of the Rosary. All Church stewards are asked to assist with parking and report to the car park at the cemetery by 10.45am. Those attending the ceremony are kindly requested to follow the instructions of the stewards and to co-operate with them at all times. Members of the Parish Pastoral Council will take up a collection for the upkeep of the Cemetery at various different locations before and after the Ceremony. Deepest Sympathy is extended to parents, Pamela and Pat, sisters Leticha and Reyanna, brother Reece, grandparents, aunties, uncles, cousins and extended family and friends on the death of Baby Willow Clarke, Knockbride East, Bailieborough, who was born asleep with the Angels on Wednesday, 15th August 2018. Funeral Mass of the Angels for Willow took place in St. Bridget’s Chapel, Knockbride East, on Friday 24th August. iPhone, iPad, Tablet and Smartphone class, commencing in Bailieborough Library on Tuesday next, September 4th at 10am. If interested, please enquire at the Library 042 9665779 or call Angela on 046 9280790 to book a place. Classes will be limited to 10 participants. Wednesday, August 29th, Bruce Hill. (M) – 1.5hrs approx. Meet at Carrickabruise National School just of the N3, 3 miles from Virginia. Leaving Bailieborough library at 6.45pm. Walk commences at 7.15pm. Lotto results for 25-08-2018. Numbers Drawn; 4, 10, 14, 16 No Jackpot Winner, Lucky Dip (€25) Winners; Joe and Patricia Larkin; Michael Clarke; Madeline and Michael; Jim Gorman. Jackpot next week, €4,400. The service resumes on Tuesday, September 4th at 1.30pm in the Library. Congratulations and well done to the Players, management team and supporters of the Bailieborough Shamrocks Ladies Team who played Gowna in the Intermediate Championship Semi-Final in Terry Coyle Park on Sunday evening last. The Bailieborough girls won a great game by 4-05 to Gowna’s 2-07 and in doing so, created history, by qualifying for the Intermediate Championship Final for the first time. All roads will lead to Kilnaleck on Saturday afternoon next, when the girls will contest the Intermediate Championship Final against Arva at 4.00pm. All in the community wish the girls, the best of luck in the Final! Bailieborough native, Norma MacMaster (née Jameson), will read from her book ‘Silence Under a Stone’ at the Library, on Thursday September 6th at 7.30pm. All members of the community are invited to this FREE event! Run, walk, crawl or jog every Monday and Wednesday evenings at the Community Centre, Chapel Road, Bailieborough at 8pm. All newcomers welcome. Anyone want to try kayaking? If you do, be at the Town Lake at 7.00pm. Tea, coffee, fruit and biscuits afterwards. All newcomers welcome. Spanish Adult Lessons are back in September, in Bailieboro Business Centre. Every Tuesday and Wednesday evening, from completely beginners to intermediate level. Classes commence on Tuesday, September 4th, 7—8pm for beginners, 8—9pm for intermediate. Enrolment evening will be on this Thursday, August 30th in the Business Centre. For more information please ring 087 7414735. Well done to Bailieborough native, Leanne Kiernan who scored for West Ham Ladies in their 4-1 FA WSL Continental Tyres Cup win over Lewes FC Women on Sunday last. Leanne appears to be settling in well at West Ham and all wish her continued success in her professional career. Bailieborough 10:45am – Holy Communion and Sunday Club, followed by tea and coffee. Pilates: Pilates resumes in Bailieborough Leisure Centre the first week in September for 4 weeks, Wednesday mornings at 10am and Friday mornings at 6:30am. Cost €40. We had a great week in Kingscourt at our camp. Some new talent emerging which we hope to see at training in the weeks ahead! 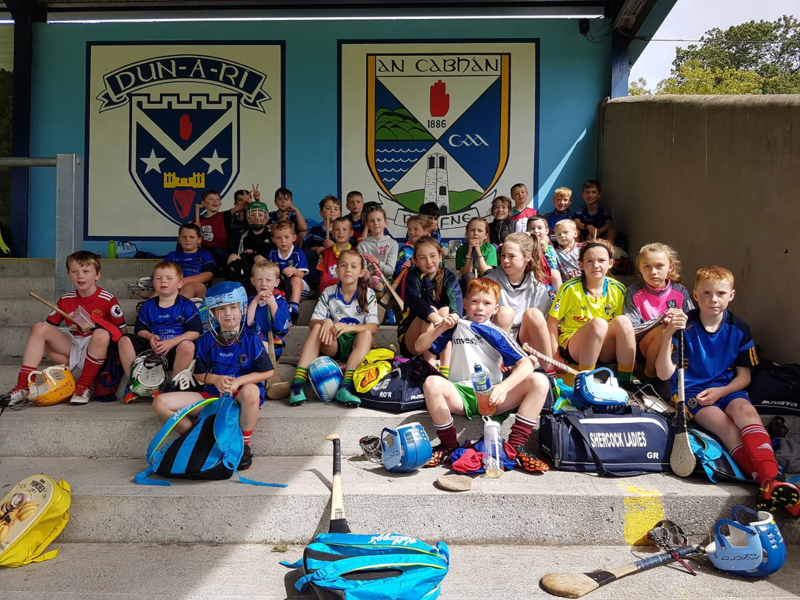 Thanks to Kingscourt Stars for the use of their fine facilities and to Keith Greene, Cavan GAA, and Pauric Dowdall and Ryan Gaffney, Ulster GAA for their assistance. Also to Miriam and Agnes for registration and supervision and to Pat, Rory, Cian and Kyle for their help with coaching all week. Above; Pauric working with the campers. Under 7/9/11/13;Training on Monday 6.45 in Killann. We will then take a wee break to get everyone back to school! 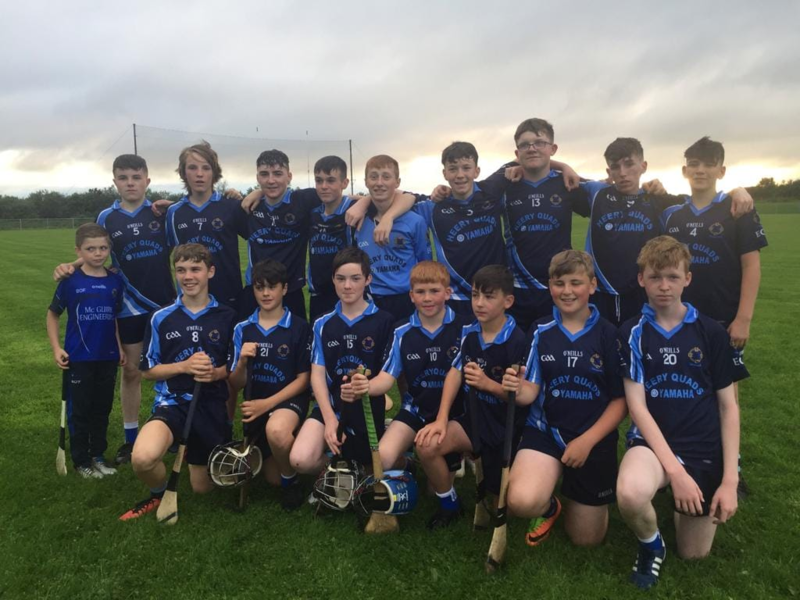 Intercounty U14; Cavan lost out to Derry in the Shield Final in the All Ireland competition held in Cloghan on Saturday last. Gaels well represented by Nathan, James, Tadhg, Daire and Gary. Well done lads. 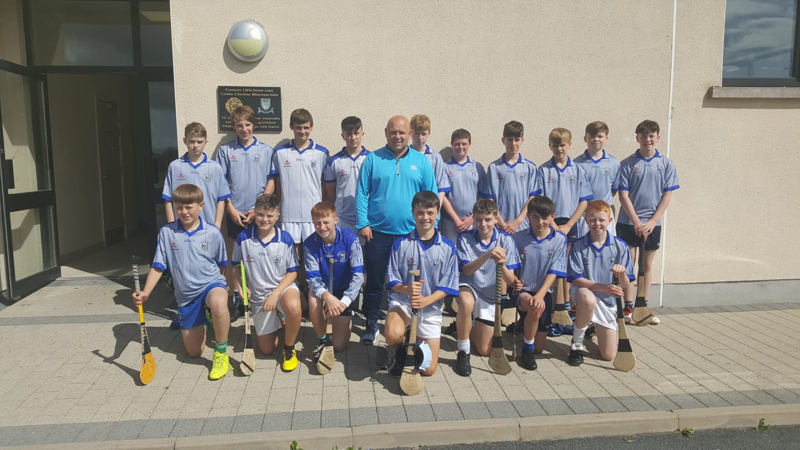 Above; Cavan U14 squad with 5 Gaels men and Waterford manager Derek McGrath. We have entered into the Cavan hurling Championship for 2018. Our first game is scheduled for mid-September. Training Thursday 7.45pm in Killann or Kingscourt whichever available. Numbers beginning to pick up now that the word is out! New players especially welcome. Monday; U7/9/11/13 training in Killann 6.45. Thursday; Adult training in Killann 7.45pm. 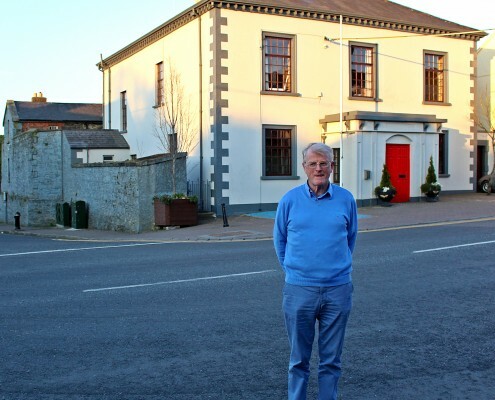 http://bailieborough.com/wp-content/uploads/2015/09/bborocomlogo2015-300x130.png 0 0 Lee McDonnell http://bailieborough.com/wp-content/uploads/2015/09/bborocomlogo2015-300x130.png Lee McDonnell2018-08-29 15:06:502018-08-29 15:06:50Bailieborough News. August 27th 2018. Matthew J. Cullen. The Bailieborough Heritage Committee are holding an ‘Industrial Exhibition’ in Murtagh’s Yard, Main Street, on Saturday next, August 18th from 12 noon to 9.00pm and also on Sunday next, August 19th from 11.00am to 5.00pm. This exhibition will show case Machinery, Garden Furniture, Tools and many items of Historical interest from Bailieborough’s industrial past. If you have any item/s or artefacts that you would like displayed, please contact either, Pat Fitzpatrick at 086 063 5856 or Leslie McKeague at 086 2588 488, who will make arrangements for collection and return of items. The Exhibition event is free of charge and all are most welcome. ’ My Seven Year Stitch’ Showcases Sally-Ann Duffy’s textile art created during an extraordinary and emotional seven-year period of her life. She believes that the immersion in creative projects through that time has supported her mental health and has been both therapeutic and healing. The art work will be displayed in the beautiful Bailieborough Library arts space until the end of August. Moybologue Historical Society – Cumann Seanchais Mhaigh Bolg is proud to present details for our Heritage Week 2018 event ‘Moybologue: Stories from the Stones’ on Sunday next, 19th August at 3pm in St. Mary’s Hall, Tierworker, Kells, Co. Meath. Wednesday, August 15th– Derrygoney/Loughbawn, (A) Walk 2hrs approx. Leaving Bailieborough Library at 6.45pm. Walk commences at Derrygooney School at 7.15pm. From Shercock travel towards Cootehill, at 3.8kilometeres turn right for Ballybay, a further 2km turn left and continue for a further 2.5kilometeres to the school on the right. Wednesday, August 22nd – Skeagh/ Knockbride East (M) – 1.5hr approx. Leaving Bailieborough Library at 7.00pm. Meet at Skeaghville Chalets at 7.15pm. From Bailieborough take Cavan road for 3 km, turn right for Cootehill Road R191, at 2km take a right at sign for Skeaghville, continue straight on this road for approx 2km. All welcome. Drumamuck, Bailieborough, Cavan who passed away peacefully at his home, in the loving care of his wife Kitty and Family, following a short illness on Thursday, August 2nd, 2018. Brendan was pre-deceased by his sister Sr. Helen. Brendan’s Funeral Mass took place in St. Brigid’s Church, Knockbride East on Saturday, August 4th with burial afterwards in St. Brigid’s Cemetery. Safepass on Friday 24th August from 8am -4pm, lunch included, course fee €100. Please contact Bailieborough Business Centre on 042-96 94 716 for further details. Deepest Sympathy is extended to wife, Ann, son Dermot, daughters Olivia and Sharon, sister Peggy, sons-in-law Brendan and Philip, grandchildren Adam, Tom and Faye, nieces, nephews, relatives and friends on the death of Tenny Sexton, Greaghagibney, Grousehall, Bailieborough, Cavan who passed away peacefully at Cavan General Hospital, after a long illness, surrounded by his wife and family on Thursday, August 2nd. Tenny was predeceased by his sister Maura. Tenny’s Funeral Mass took place in St Michael’s Church, Clifferna on Sunday, August 5th with burial afterwards in the adjoining cemetery. The annual St. Vincent DePaul Pilgrimage to Knock will take place on Saturday, September 8th. A bus will be leaving the Community Centre at 8.30am. Booking with 15 bus fare, in Vincent’s Shop, Main Street by Saturday, September 1st. Bailieborough Shamrocks GAA Club’s Brendan Shevlin—who works for Manor Farm, is heading to Haiti to help with the Haven Chicken Project. Brendan is part of a group from Manor Farm who are going over to build Chicken Farms in Haiti. As part of his efforts Brendan also needs to Fundraise and as part of these Fundraising Efforts, he is having a Table Quiz in Nixy’s, The Square Bar at 10pm on Friday next 17th, August 2018. All are invited to turn out and support Brendan in his Fundraising Efforts. What a wonderful thing Brendan is doing. All welcome. Thinking of getting a dog for your family? Dogs Trust Ireland will host a workshop at Bailieborough Library on Thursday, August 16th at 2.30pm, with Education Officer, Paul Cleary and his dog, Magic. The workshop is FREE with lots of information and facts about getting a dog and what to expect! Baptism Dates in St. Annes for August, September and October 2018: The following are the available dates for Baptisms in St. Anne’s Church–August 19th (Sunday 12.30pm), September 15th (Saturday, 1.30pm), September 23rd (Sunday, 12.30pm) October 6th (Saturday, 1.30pm) and October 28th (Sunday, 12.30pm). 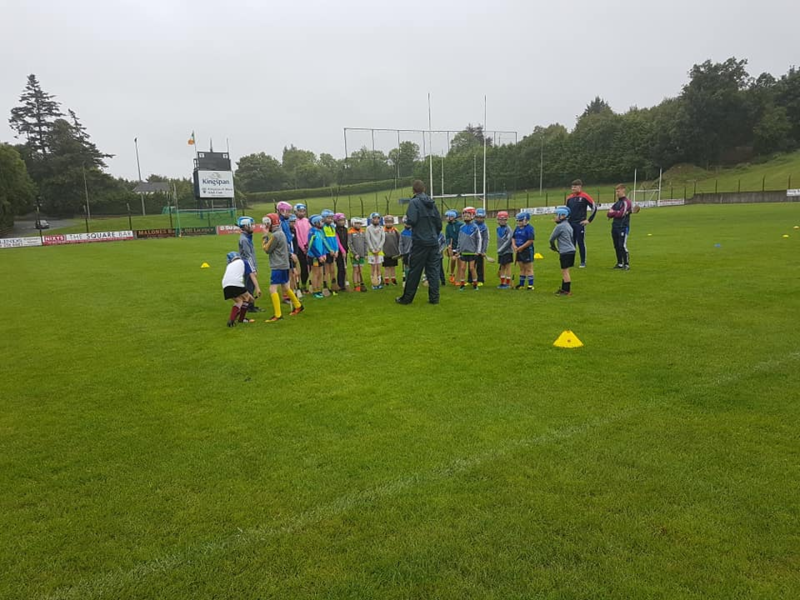 3-day Camp in Kingscourt Stars GAA grounds. Tuesday, Wednesday and Thursday 21/22/23rd August from 10-1.30pm. For boys and girls aged 6-12 (primary school ages). €30 per child. All are very welcome. 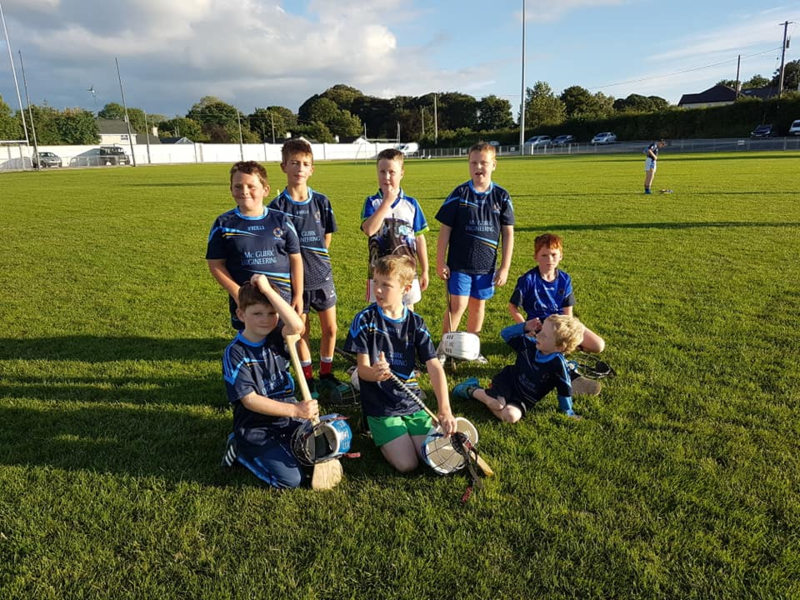 A great way to get introduced to hurling before joining our club if you haven’t played hurling before. Lots of great hurling activity for all to enjoy. Registration from 9.15 on the first day. 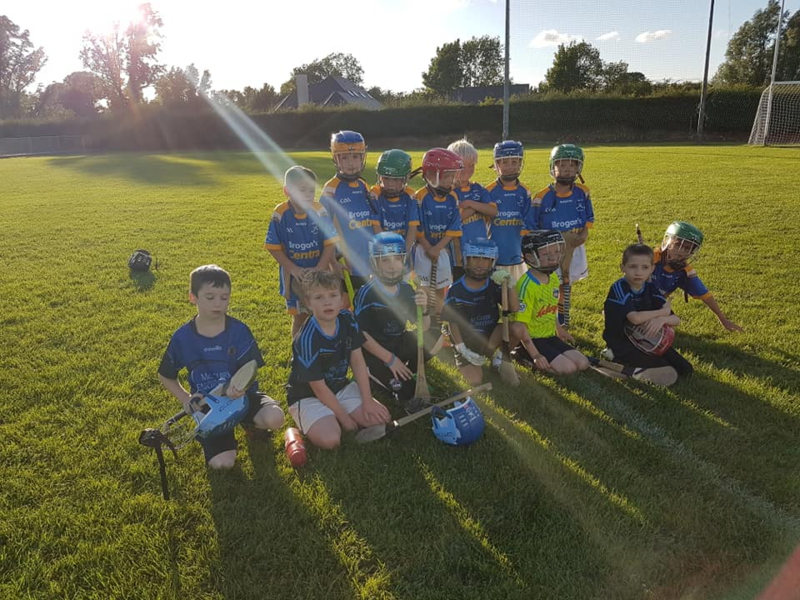 Under 7/9/11; Great trip to Carlanstown on Tuesday last in bright sunshine to play new Meath hurling club North Meath Gaels. We had 2 under 9 sides and one large squad of U11s. Great hurling on show. Training on Monday in Killann at 6.45. 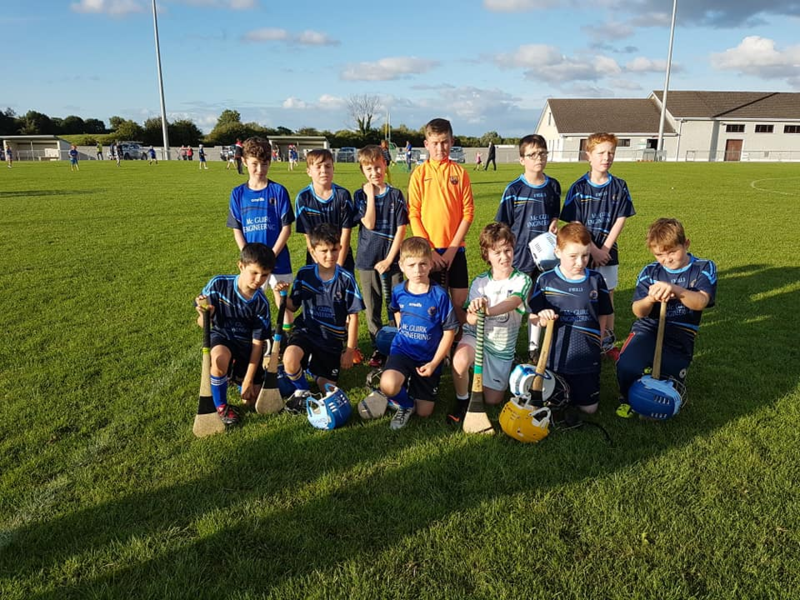 2nd U9 team with their North Meath Gaels friends. Under 15; A great win after a long trip to Lisbellaw to take on the hosts on Monday last. We received a walkover in the latest round v Monaghan Harps. Two more regular rounds, v Carrick this Thursday, and Blayney Monday 20th, both in Kingscourt, before the knockout stages. Adult; Training Thursday 7.30 in Killann. New players especially welcome. Monday; Training for U7/9/11/13/15 in Killann. U7/9/11 6.45. Older lads 7pm. Thursday; U15s home to Carrick in Kingscourt 7.30. 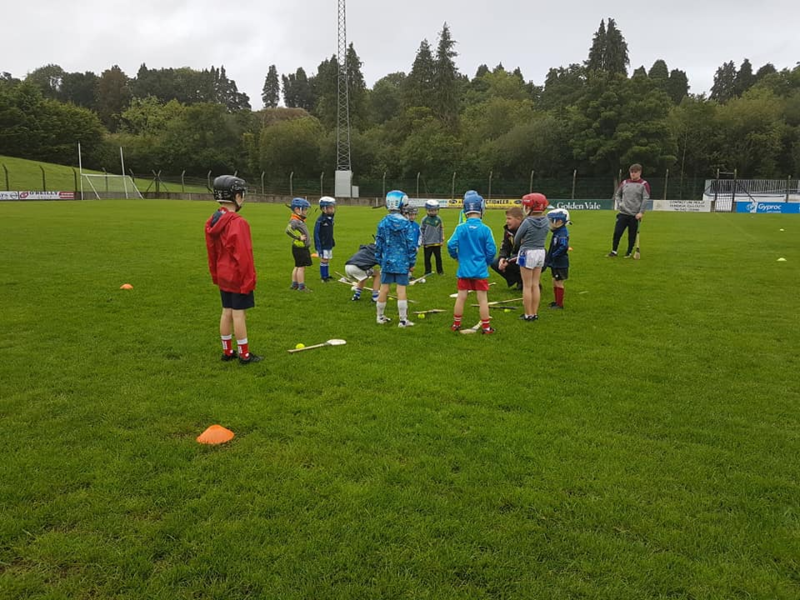 Adult training 7.30 in Killann. http://bailieborough.com/wp-content/uploads/2015/09/bborocomlogo2015-300x130.png 0 0 Lee McDonnell http://bailieborough.com/wp-content/uploads/2015/09/bborocomlogo2015-300x130.png Lee McDonnell2018-08-15 11:07:532018-08-15 11:07:53Bailieborough News. August 13th 2018. Matthew J. Cullen.